AOC, one of the top global brands in the display market, recently presented their premium line of gaming monitors – the AGON series. Its first model is the 27″ (68.6 cm) AG271QX powered by a high-speed TN panel at a native resolution of 2560 x 1440 pixels. It delivers ultra-smooth images with a 144 Hz refresh rate and a response time of 1 ms, supported by Adaptive-Sync Technology (FreeSync™ compatible, at a 30-144 Hz range) that reduces stuttering and tearing – focusing on the best gaming performance. Gamers that play competitively not only rely on fast and smooth images, but also on instantaneously-executed commands and perfect vision in every situation. The AOC Low Input Lag mode disables picture post-processing on the monitor’s electronics and, therefore, accelerates the command pass-through from mouse, keyboard and gamepad to result in immediate actions while the AOC Shadow Control enables gamers to quickly adjust contrast in overly dark or bright areas without sacrificing the quality of well-balanced areas across the rest of the screen. Gamers that never run out of steam would also want perfect ergonomics and to be able to rely on convenient features to adjust their monitor. The AOC AGON ergonomic base provides plenty of comfort when enabling adjustments of height, tilt and swivel, and is accurately marked by a scale, so gamers can always jump back to their preferred settings. What is more, the stand is equipped with a carry-handle for easy transportation of the monitor for example to and from eSports events. When not using the headset, there is a practical holder at the side of the display to hook it over. Even more comfort is delivered by the eye-protecting AOC Flicker-Free Technology and the AOC Low Blue Light mode, both reducing eye strain, discomfort and fatigue during long gaming sessions. Monitor settings are key features when it comes to individuality, and they need to be easily accessible. Adjustable gaming presets will grant gamers exactly that. 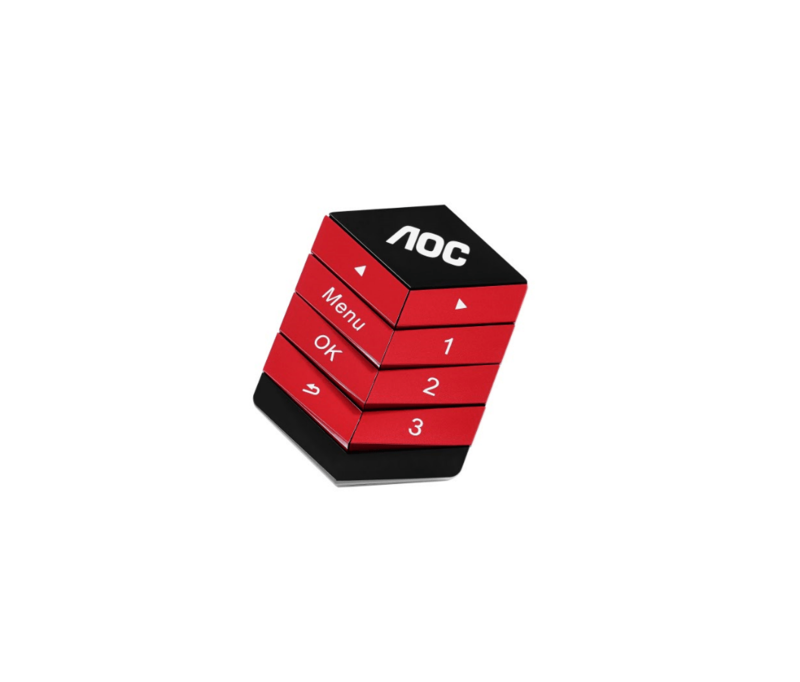 AOC has not just implemented changeable Game Mode Presets, but also added the AOC QuickSwitch Controller, enabling the user to switch effortlessly between modes and adjust brightness, contrast and other gaming features. 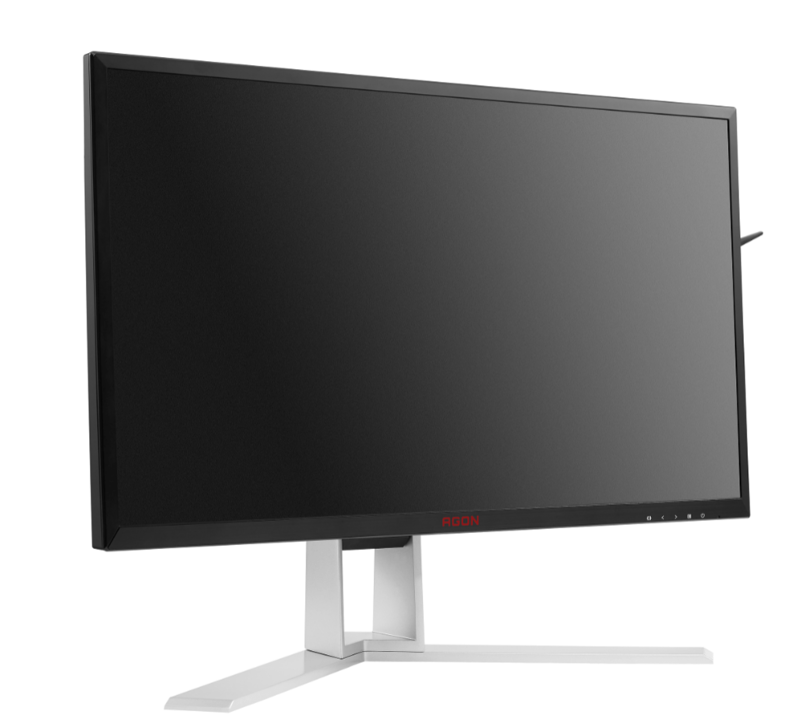 The AOC AGON AG271QX premium gaming monitor, clearly addressing competitive gamers, will be available in June 2016 for an MSRP of £479.